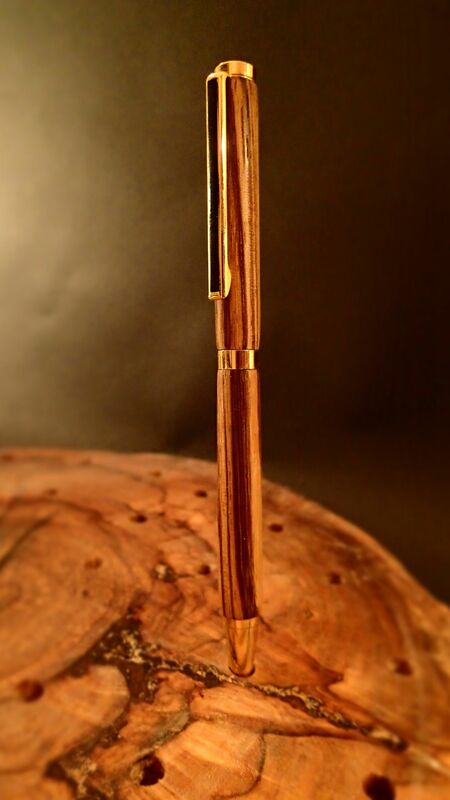 These slimline pens are made from wood salvaged in the Northeast of the United States. They come from old barns dating over 200 years old. This specific pen was pulled out of the barn in the Berkshires. The wood was cut almost 200 years of ago and none of the woodworking experts I have talked to configure out what kind awarded it so it is both rare and unusual.